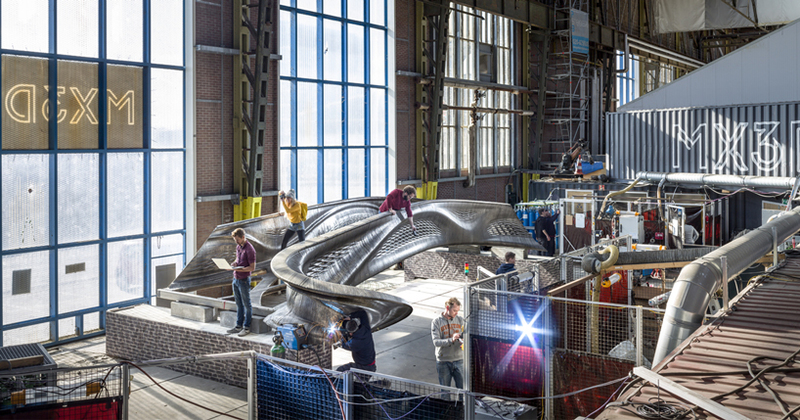 first announced in june 2015, MX3D’s ambitious, fully functional, 3D printed metal bridge is ready for installation in amsterdam following its ongoing week on show at the dutch design week 2018. designed by joris laarman lab, the stainless steel construction hints at its vast size, as well as complex, strong and graceful geometries. 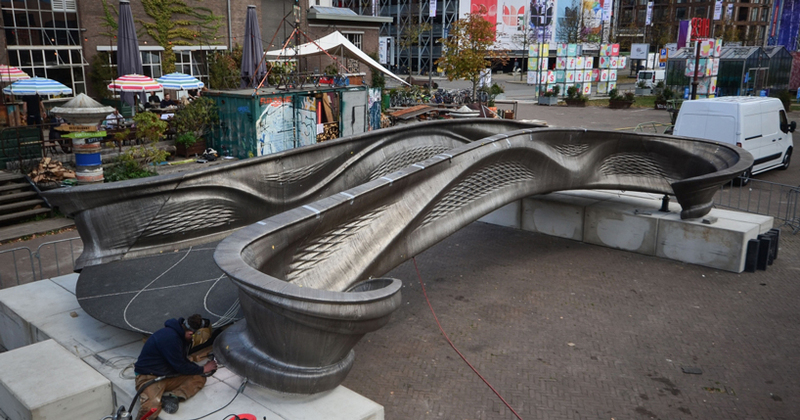 the bridge which is scheduled to be installed in early 2019 will span across oudezijds achterburgwal, one of the oldest and most famous canals of amsterdam, netherlands. 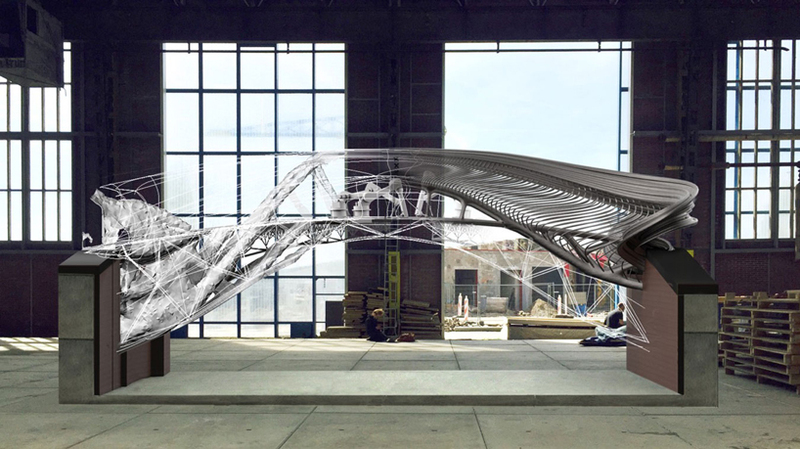 using specially designed MX3D software and multi-axis industrial robots, it took these four machines six months of printing to complete the full span of the metal bridge. 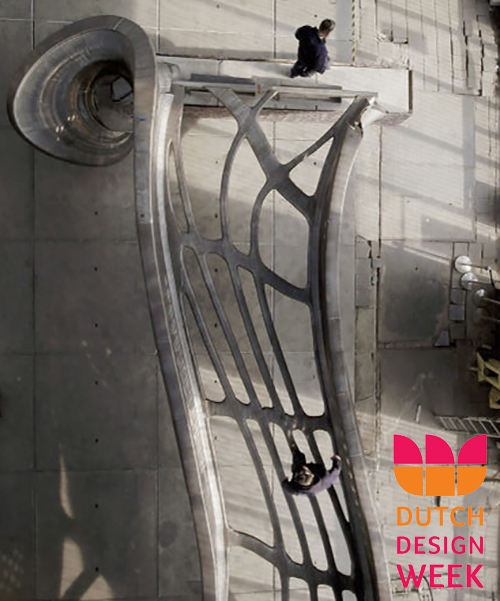 measuring 12.5 meters in length and 6.3m in width, the design currently weighs 4,500 kg and uses over 1100km of wire. before being installed in 2019, the bridge’s next phrase of development is testing, where its structural integrity will be verified. the use of this newly developed construction method has demanded a new safety standard be developed. 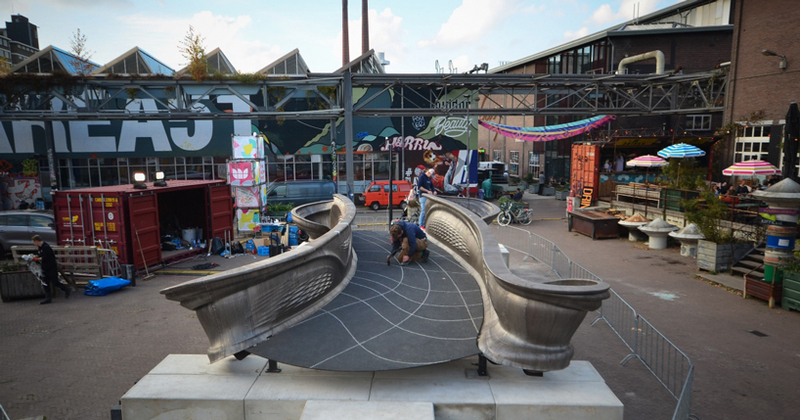 according to reports, MX3D worked with amsterdam officials to do so and even coordinated with partners including the UK’s alan turing institute to equip it with a network of sensors. these sensors will help provide data regrading bridge traffic and structural integrity. the bridge has been made with a steel deck to provide additional stability. Gaudi did better than this a centrury ago with no computers…. I love Gaudi too, and technology. With the aid of computers, imagine what he could have accomplished! It’s about the potential of the technology. Beautiful design… and details that would likely be extremely expensive to create using traditional techniques. This could path the wave for even more intricate designs spanning ever greater distances. The future is bright and in good hands with Joris and his collaborators. Beautiful design… and details that would likely be extremely expensive to create using traditional techniques. 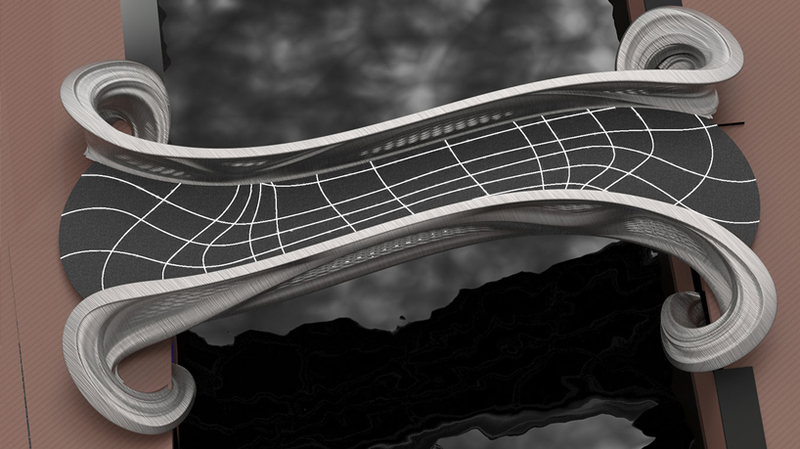 This could pave to way for even more intricate designs spanning ever greater distances. The future is bright and in good hands with Joris and his collaborators. Can you provide photograph of the welding robots. Is the bridge deck a solid surface? Did anyone else notice there is barely any flooring to this bridge? And that you have to almost tightrope walk the few lines that provide a path to the other side? based on the 1966-77 model, the premium electric vehicle has been handcrafted to show car quality seamlessly powered by a covert all-electric drive system.